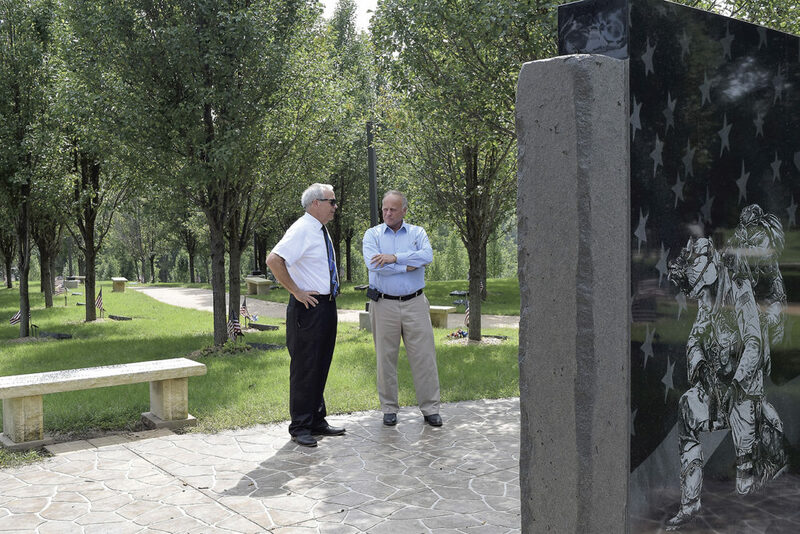 Fort Dodge City Councilman Terry Moehnke and U.S. Rep. Steve King, R-Kiron, talk at Veterans Memorial Park Monday afternoon. Moehnke has led the development of the park over the last 10 years. 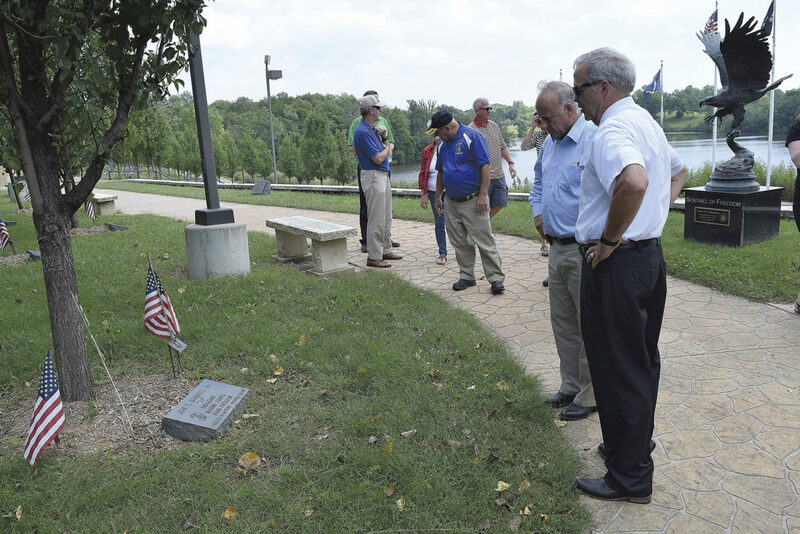 Fort Dodge City Councilman Terry Moehnke points to a name on a monument at Veterans Memorial Park that lists the men fom Webster County who were killed in World War II. U.S. Rep. Steve King, R-Kiron, watches. 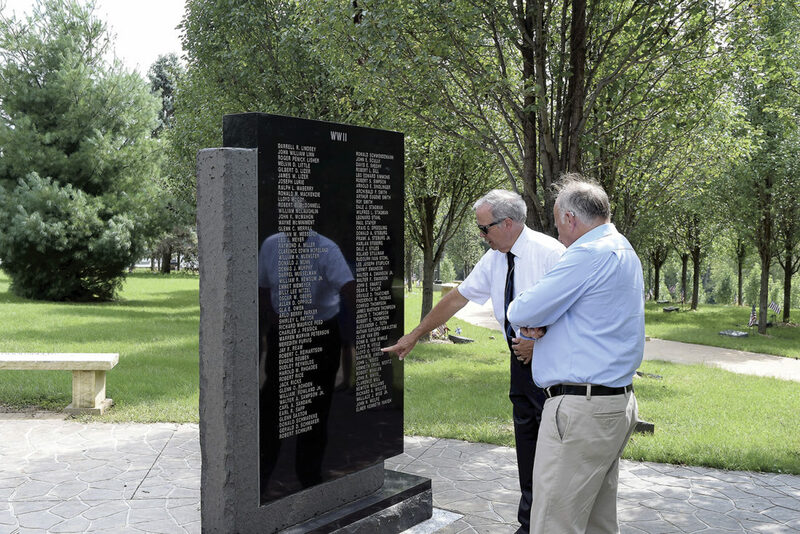 Fort Dodge City Councilman Terry Moehnke, right, and U.S. Rep. Steve King, R-Kiron, look at a marker in Veterans Memorial Park dedicated to U.S. Marine Corps Sgt. Jon Bonnell. Bonnell was killed in Iraq in 2007. U.S. Rep. Steve King declared Monday that he has “reverence and respect” for the late U.S. Sen. John McCain, of Arizona. King, of Kiron, reflected on McCain after strolling through the tree-shaded pathways of Veterans Memorial Park Monday afternoon. 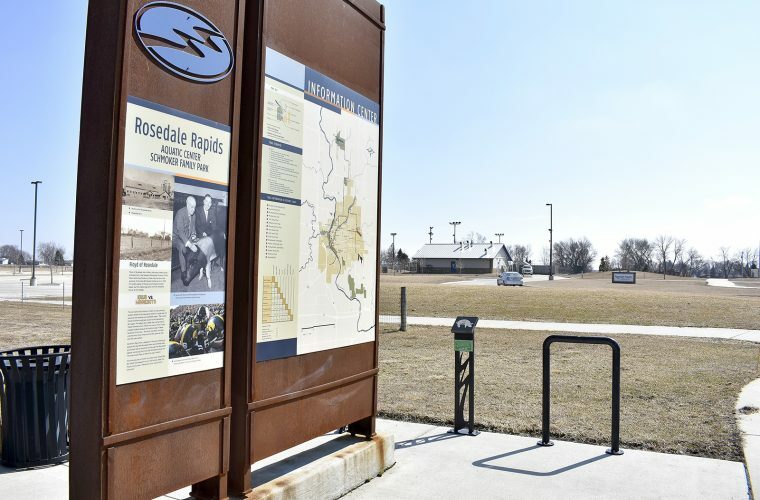 The park overlooking Badger Lake north of Fort Dodge is filled with trees, markers and benches dedicated to local residents who served in the military. Close to the lake is an ampitheater that’s the site of the Memorial Day services. 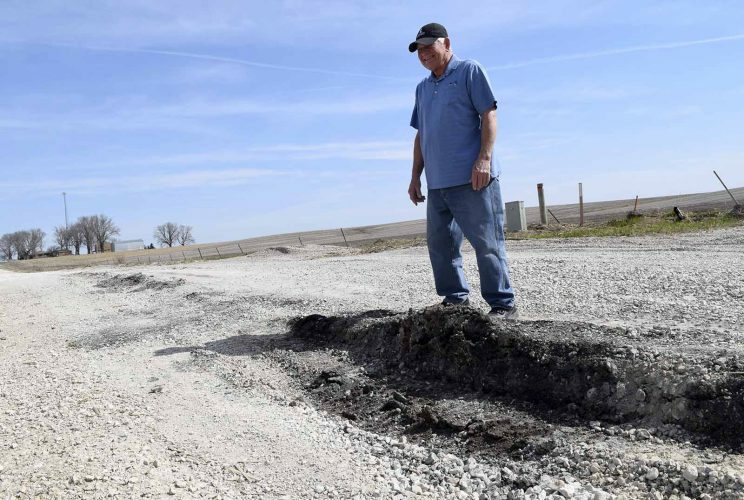 Fort Dodge City Councilman Terry Moehnke launched the creation of the park about 10 years ago, but King had never been there before. “We can’t do enough of this,” he told a small group of veterans who joined him at the park. In an interview before he left the park, King offered his thoughts on McCain, who died Saturday at 81. McCain, he said, was always his own man. “John McCain always captained his own ship and charted his own course,” he said. He summed up his personal dealings with McCain by telling a story about meeting him at a legislative gathering. “At a retreat we were on with House and Senate members there was a lobby that had some coffee and cookies out there and I went over there for that reason and John McCain was standing there,” King said. King talked about one policy issue Monday: his support for President Donald Trump’s plan for a new branch of the military to be called Space Force. King said he believes having a separate branch of the armed services gives it a clear mission that cannot easily be taken away. He said he’s not in favor of giving the space defense mission to an existing branch of the military.